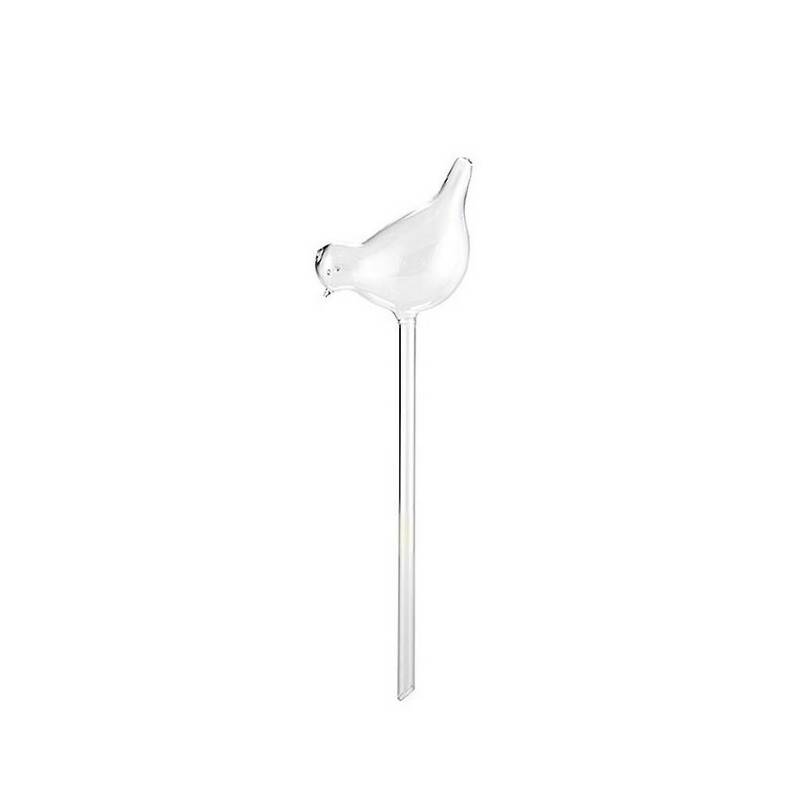 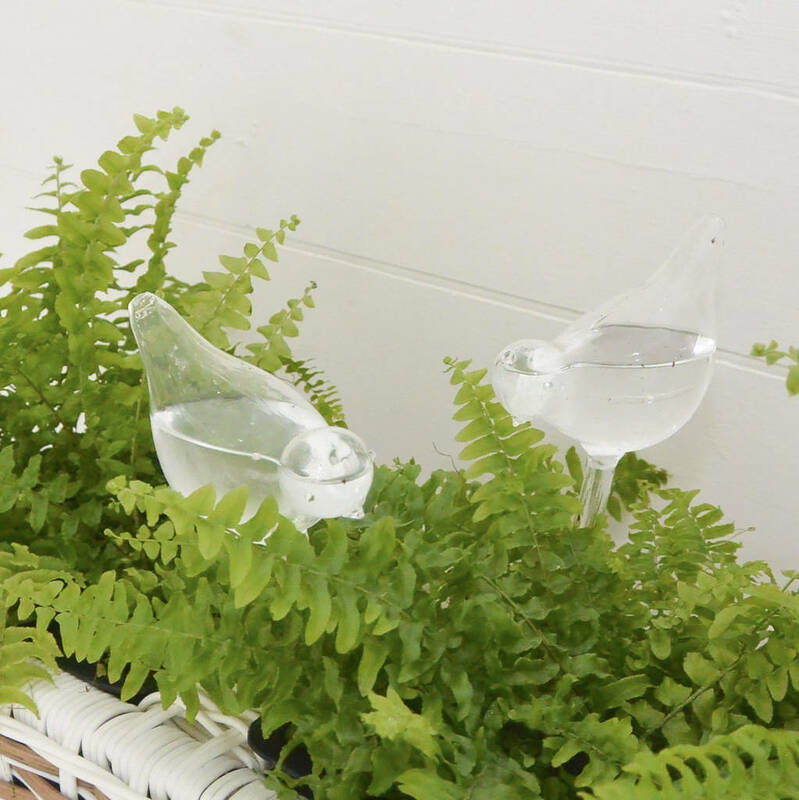 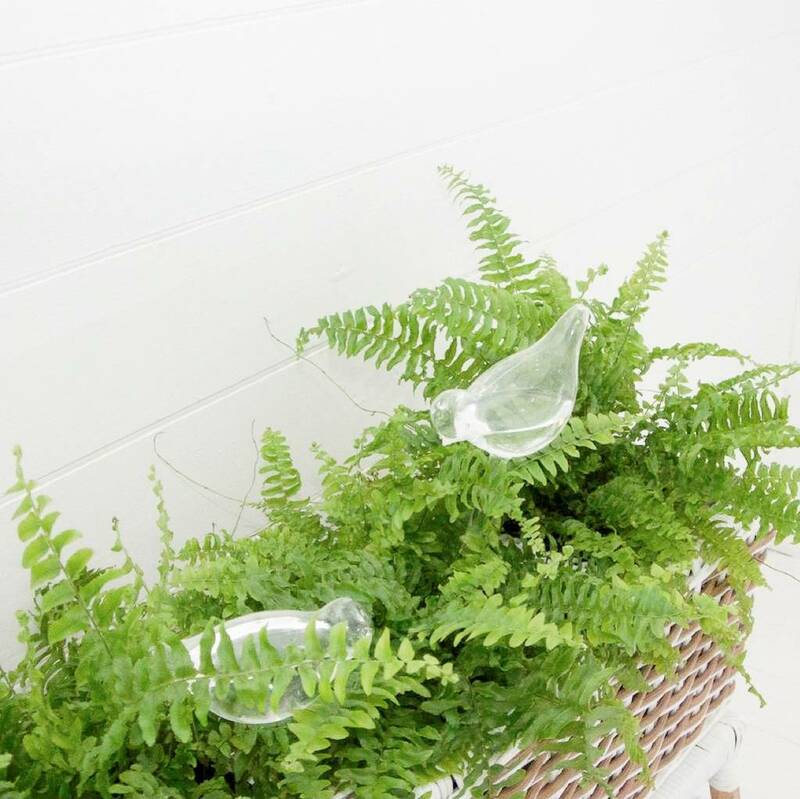 These hand blown glass birds on stems are the prettiest solution we have seen for watering house plants . 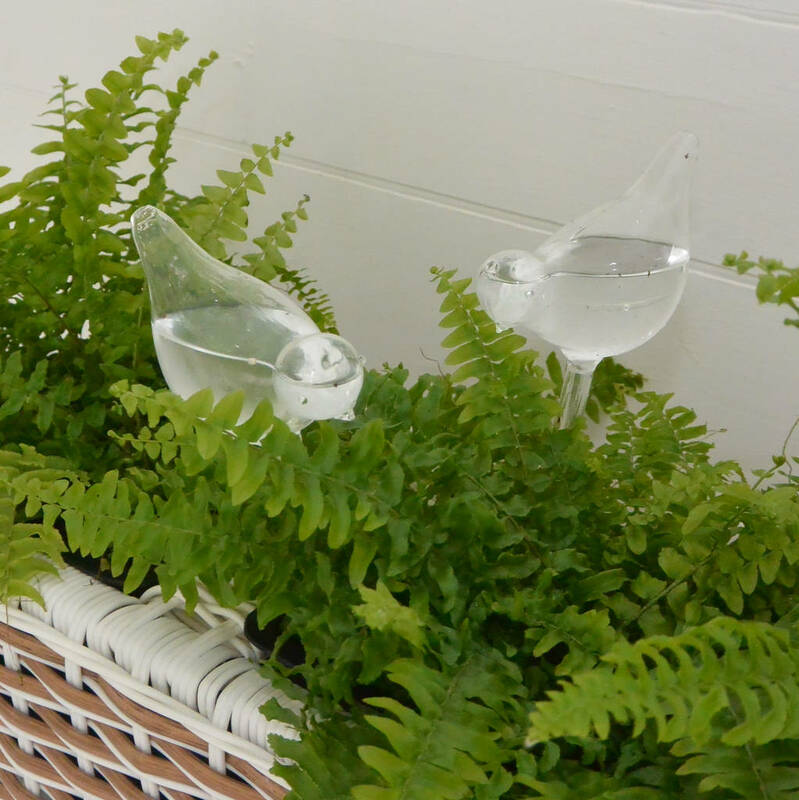 Fill the long stem with water and push into the plant pot , the water will be released as the plants need it . 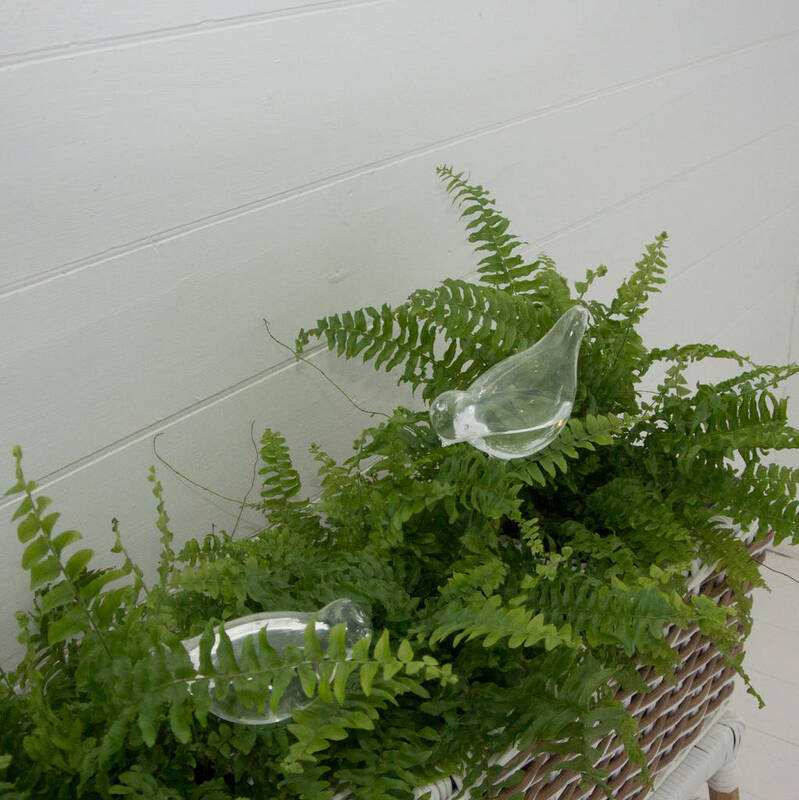 As the soil dries over time oxygen will be released and trigger water to flow slowly into the pot . These make a lovely gift idea.